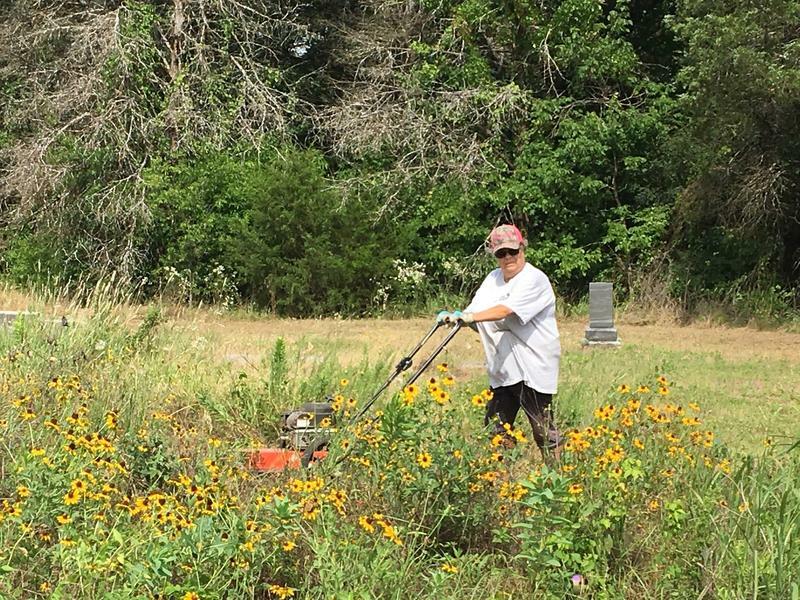 Zogail Smith helps mow overgrown areas of Simmons Cemetery. Simmons Cemetery Clean Up will be Saturday, May 12, 2018 starting at 8 a.m. Chainsaws and String Trimmers will be available. Come one, Come all! Can’t work? Come to support the volunteers. Bring water and refreshments. Bring gloves, sunscreen, and bug spray. Or send monetary donations for supplies to Enloe State Bank in care of Simmons Cemetery. Simmons Cemetery is located on County Road 3080 in Ben Franklin, Texas. Will Simmons, the great, great, great grandson of Benjamin Franklin Simmons (namesake of Ben Franklin, Texas), will be joining the volunteers at the Clean Up. 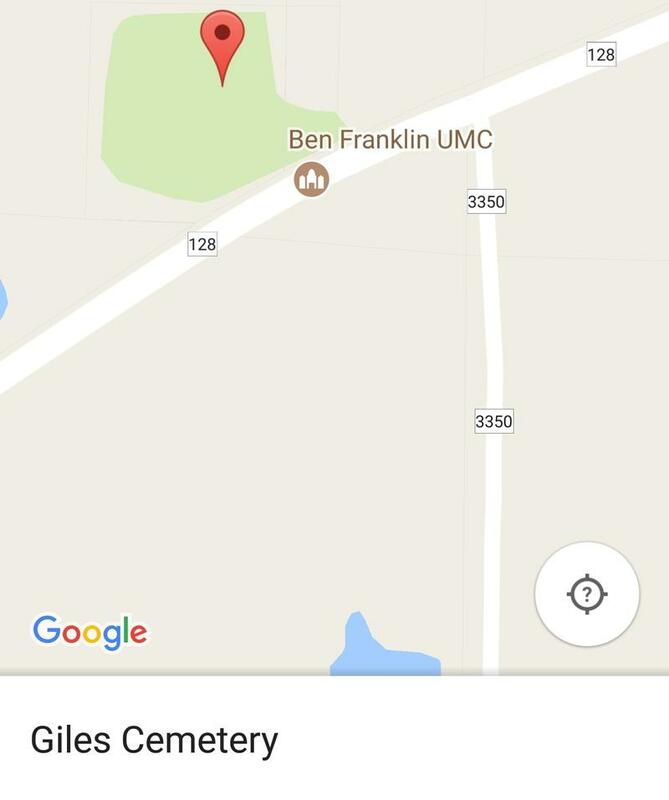 After over three years of work and documentation the Giles Cemetery will be receiving a Texas Historical Cemetery Marker. Sunday, June 25 at 2 p.m. will be the dedication held to unveil the marker, which has been recorded as a Texas Historic Preservation Cemetery by Texas Historical Commission in Austin.